1. 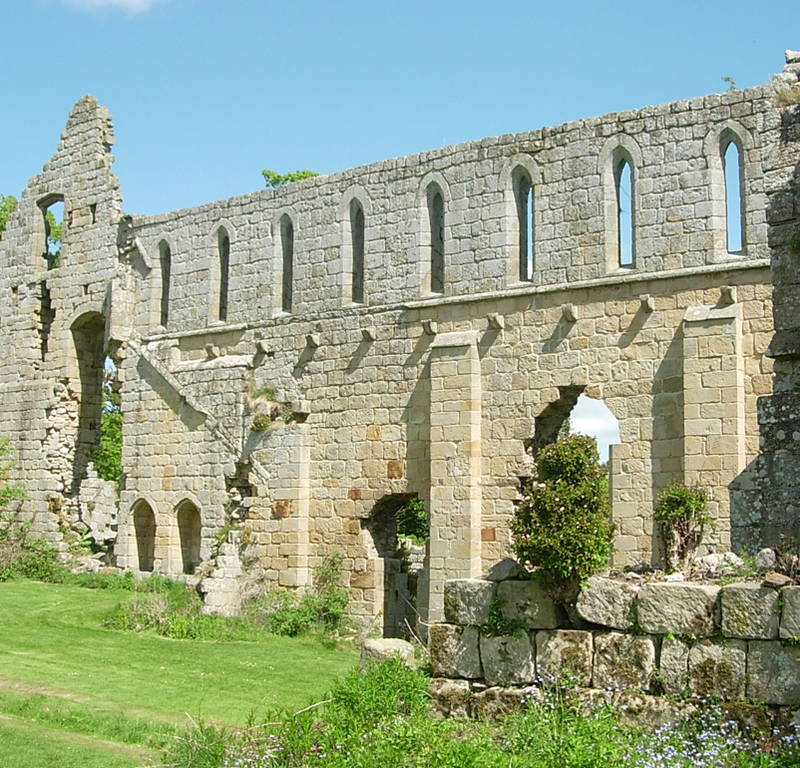 This stunning walk starts and ends at the fascinating ruins of Jervaulx Abbey. 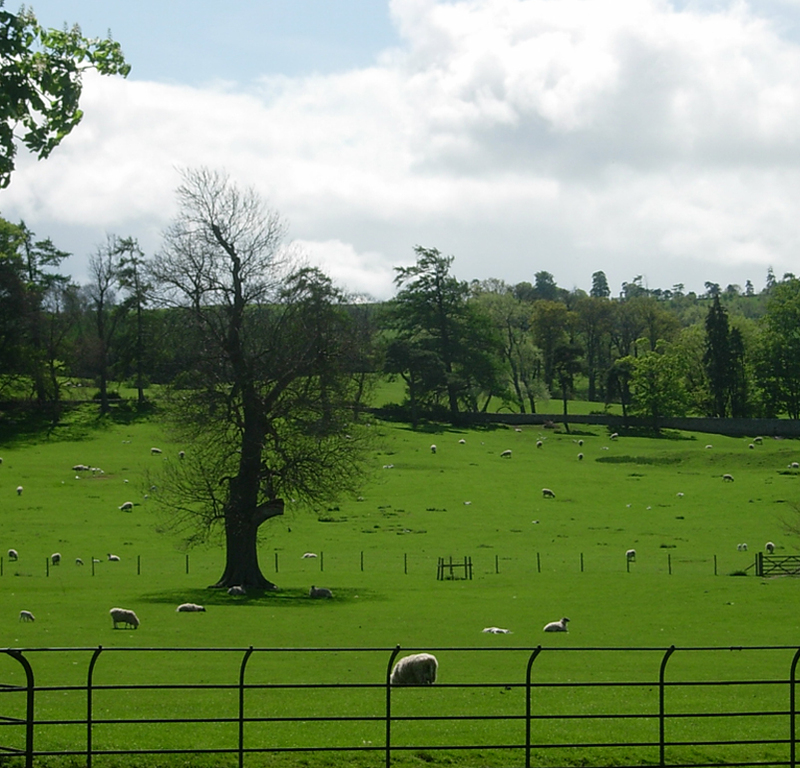 It takes you through stunning parkland, over lush pasture fields and through the historic village of Thornton Steward. 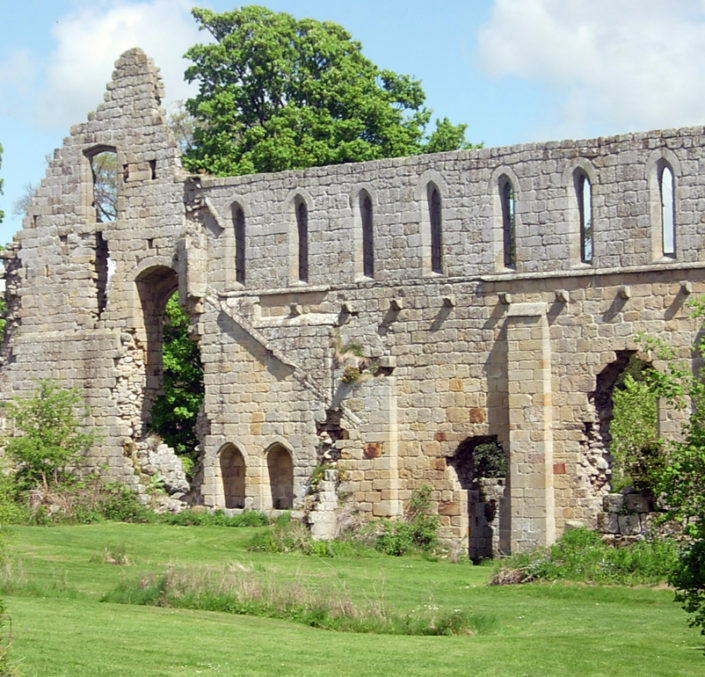 You’ll pass the impressive Danby Hall and cross the River Ure over two historic bridges. After the walk, visit the Jervaulx Tea Rooms for home made refreshments and the Gift Shop which sells a wide range of products including a lovely booklet describing the village’s history and other walks in the area. 2. Shortly after crossing the river look for a footpath on the left. Once into the open field follow the waymarkers. 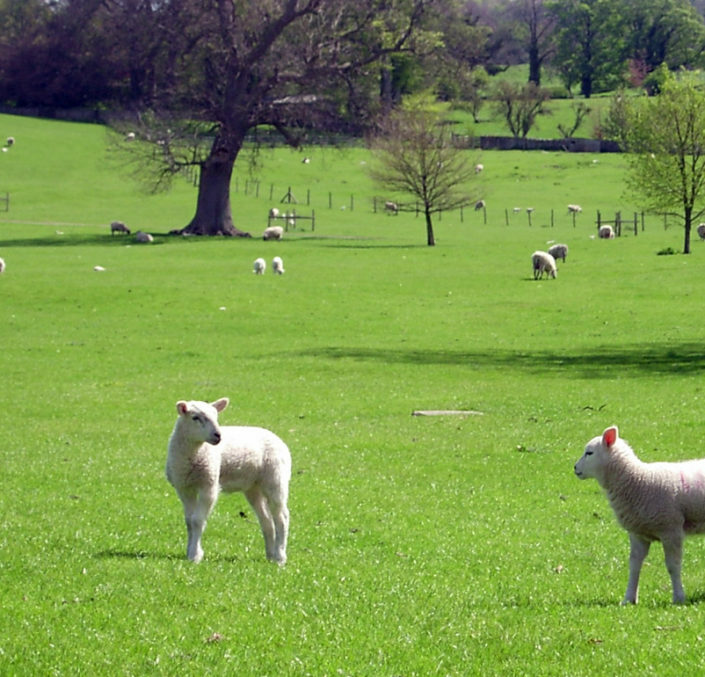 Cross this field and the next field before turning right and heading up to woodland. Follow the waymarkers, which take you to the left of the buildings. Away from the woodland, head northwest along the edge of a field keeping the hedge to your left. Keep following the line of the hedge until you pass a small plantation on your left. Just past the plantation cross the stile and head over the field bearing to the right, to the corner of the village. After this field there are four stiles in short succession leading you to a small section of walled lane. The lane joins a track bringing you up to a road in the middle of the village. 3. Joining the road turn left following through the village. At the end of the village go through a gate and follow the track past Manor Farm and down through a wood to St Oswald Church. Go through the gate at the end of the car park and walk along the edge of the field keeping the fence to your right. After two fields go through a gate with a small stream just beyond it. Follow the line of the wall but this time, keep it to your left. Just past a small plantation on your left go through a gate. Beyond the gate follow the same wall but keep it on your right. At the end of the field go through the gate and turn left. You will join a track below Danby Hall, which takes you past Danby Mill and onto a road. 4. Join the road turning left. At the T-junction turn left over the bridge. When you reach the Coverbridge Inn turn left and over another bridge. Just beyond the bridge join a path on the left heading downstream to Jervaulx Abbey. The path brings you onto the road, where turning left will bring you back to the car park. Admission: adults £2.00, children £1.50 Pay at the honesty box at the Abbey entrance. 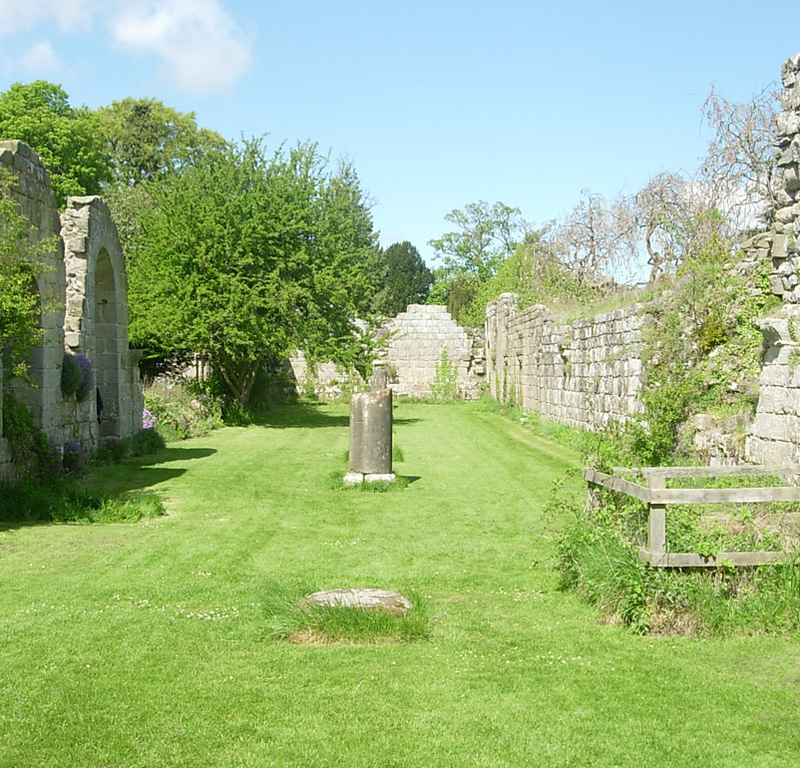 This is one of the very few privately owned Cistercian Abbeys open to the public. 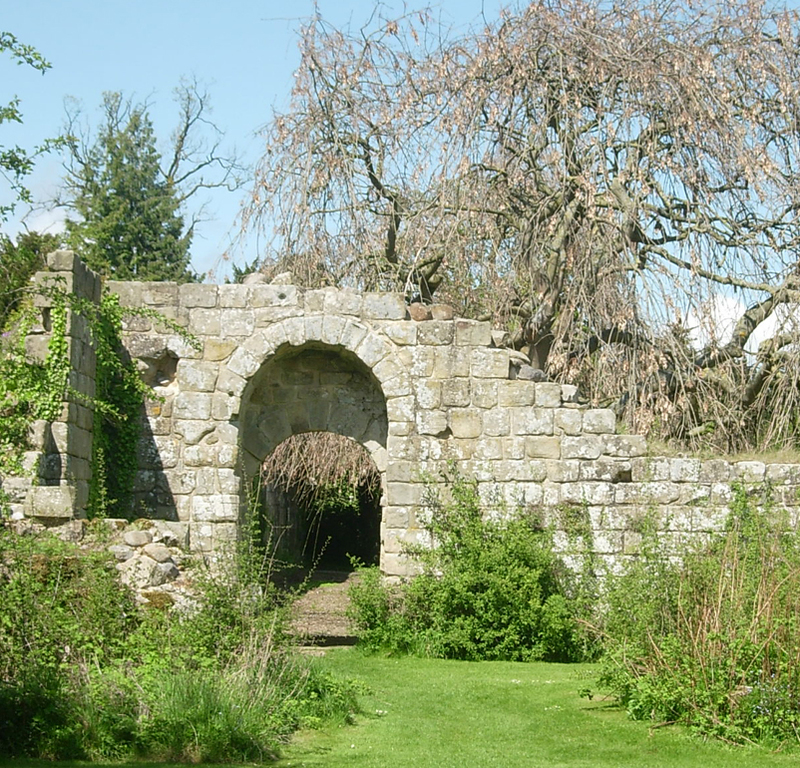 The Abbey and Jervaulx estate was bought by its present owners, the Burdon family, in 1971. The walk takes you past this quiet village which can be traced back to 1041 in a pre-Conquest Saxon Land Charter. In 1890 it is recorded as being a small parish lying on the north bank of the river Ure comprising of a township of its own name and the hamlet of Danby. At that time the village had a postmistress, a cowkeeper, joiner, Joiner’s shop, sexton, shopkeeper, bootmaker, miller, blacksmith, schoolmistress and gardener. St Oswald’s Church is reputed to be one of the oldest in Wensleydale. Its doorway is Norman and is embellished with a war memorial from the 1World War. However, as a result of an archaeological dig in 1966, human remains date the church site back to as early as 680 AD.